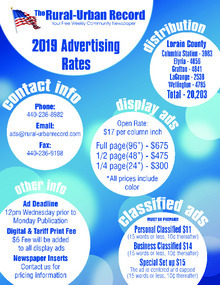 View our current classified and display ad prices for 2019. If you want to know how much it would cost to put in a specific sized ad, just call our sales team at 440-236-8982. Download "2019 Advertising Rates Flyer.pdf"